At its height, the Inca Empire extended from what is now northern Ecuador southward to Central Chile. 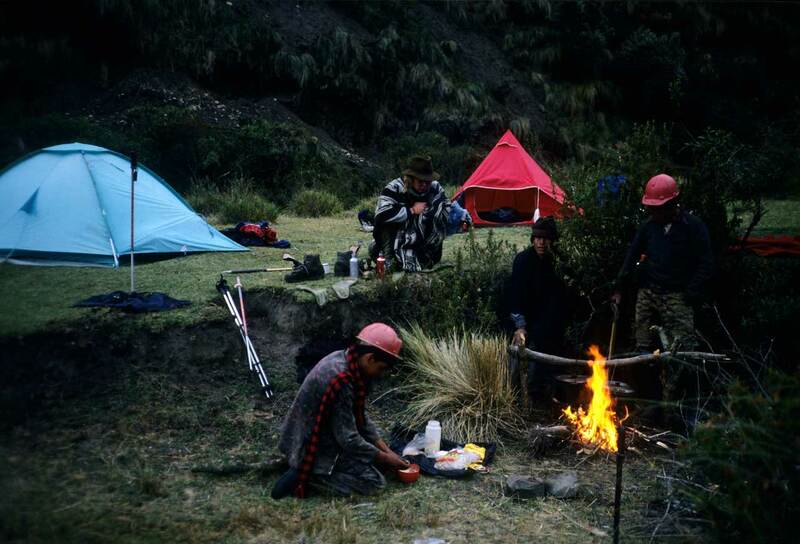 On our trek from the village of Achupallas to Ingapirca, we will have the opportunity to have a close look at an important native American culture, the Incas. After the Incan empire was overtaken by the Spanish conquistadores, many small Incan communities still remained in the Andean highlands. This is the parent culture of the majority of South America’s local indigenous groups of today. 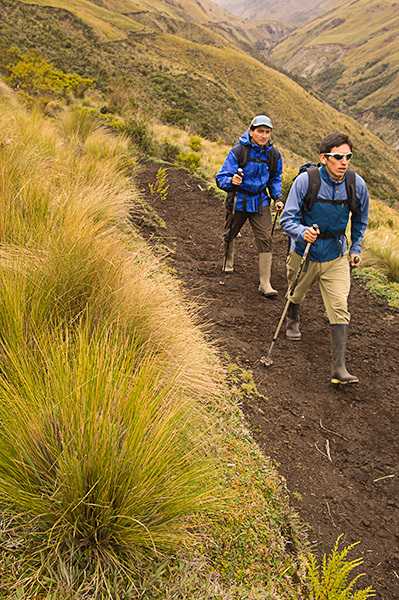 While we explore the ancient ruins and road network we will have the unique opportunity to contrast these historical remnants of the Incan culture with the contemporary lifestyle of the indian farmers interspersed along the hike. Ingapirca, or Inca Walls, is the most popular Inca ruin in Ecuador. It dates back 500 years, constructed by the Incans on top of the site where the ancient Cañari priests once adored the moon. What remains today at Ingapirca is one of the finest examples of imperial Inca construction in the country. The buildings and infrastructure were constructed with the typical close fitting mortarless stonework and trapezoidal windows and niches that are characteristic of the Incan architecture. The most prominent structure at Ingapirca is an elliptical building known as the temple of the sun. Just off site one is still able to see another important and revered natural rock formation with a carved throne and small channels, called the Cara del Inca. This is thought this was used for spiritual offering ceremonies and divination. 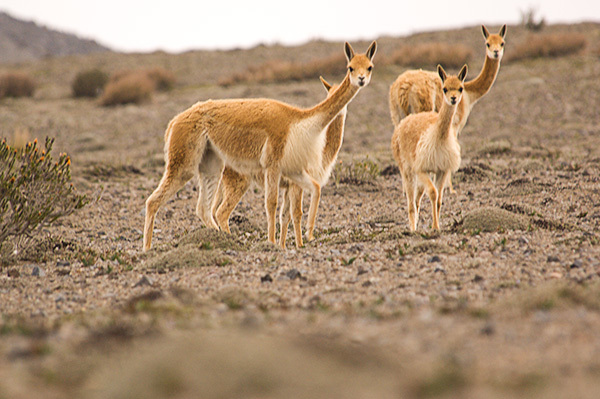 We will cross through grasslands, around the Sanasuin Lake to Tres Cuchillas Point, explore the Paredones ruins (the Diorite mine that supplied the stone for the buildings at Ingapirca), the small town of Tambo Cajón and finally the ruins at Ingapirca. 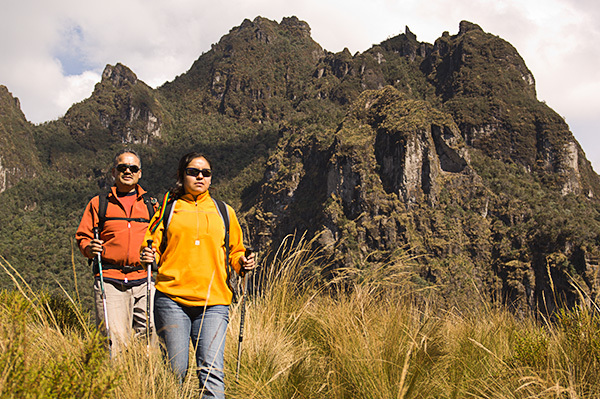 Each day we will hike around four to six hours following the still intact trails of an ancient commerce route used by Inca and pre – Inca cultures. 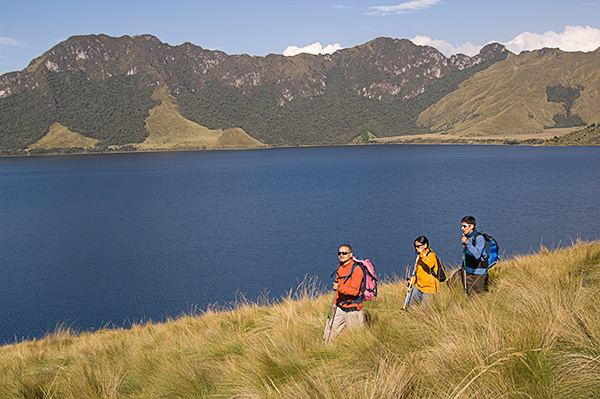 The trail takes us by many alpine lakes hidden in the Andes, winding along the cordillera and exposing a beautiful lush cultivated valley below. The nights are spent camping and enjoying the starry skies. 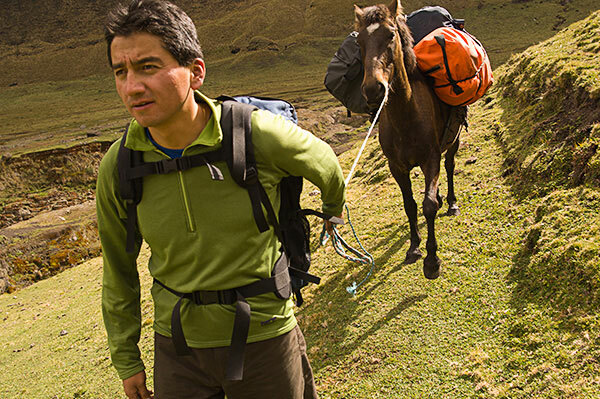 Meet at 6:30 a.m. and begin our drive from Riobamba to Achupallas (3,400 m/11,154 ft). 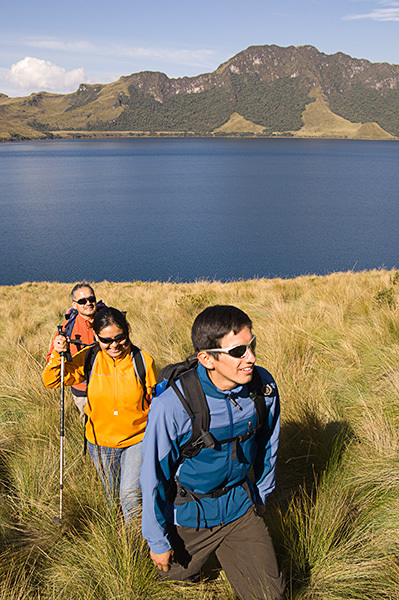 We will arrive at 9:00 am and begin our 6 hour hike to Laguna Las Tres Cruces. Here we will eat dinner and enjoy the night at our campsite. Begin our five hour hike to Paredones, where we will explore the ancient site. 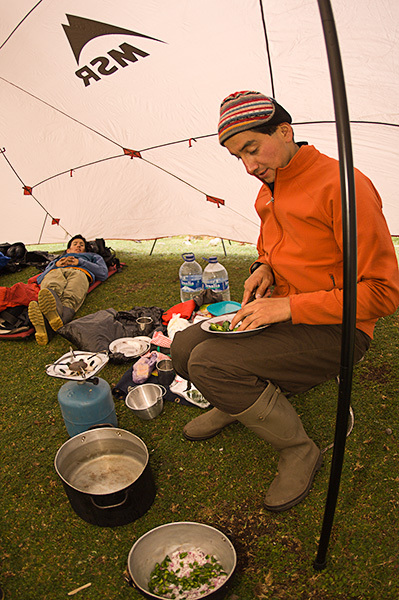 Then relax while dinner is prepared and camp is pitched. Today we hike to Ingapirca. 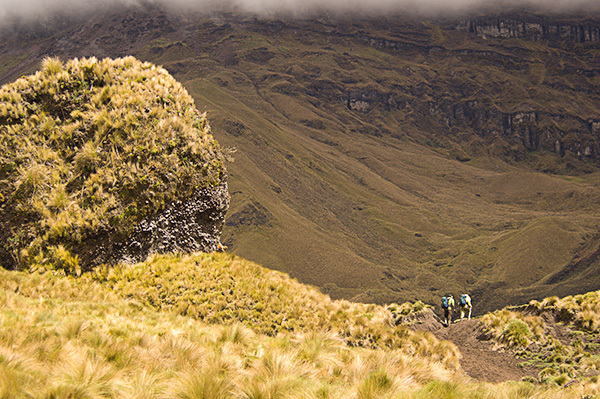 We will have lunch at the small village of Tambo Cajón, where we can see the distant Incan ruins. At 2:00 pm we arrive at the ruins, where we will enjoy a guided tour of the site and explore the cultural museum and explore. Then drive back to Cuenca or Riobamba. City tour of Cuenca, a UNESCO World Heritage Site and home to thriving, vibrant craft markets.